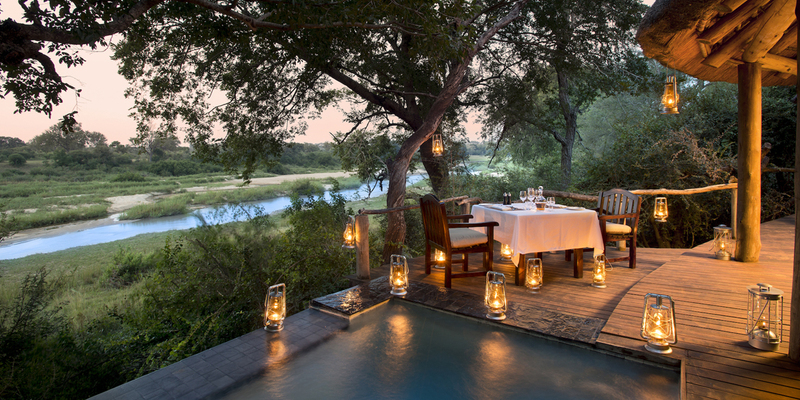 Tucked away in the shade of a grove of ebony trees on the banks of the scenic Sand River, Exeter River Lodge provides luxury safari accommodation within the spectacular Sabi Sands Game Reserve in South Africa's Mpumalanga Province. Located adjacent to the famous Kruger National Park with no restricting fences separating the two, the Reserve is renowned as having some of the best game-viewing in South Africa. Guests can expect all the components of a top safari lodge when choosing Exeter River Lodge, including the opportunity to enjoy exceptional Big Five viewing in an area famous for its leopard sightings, plus exquisite accommodation, excellent service and breathtaking views of the river. Experience fantastic game viewing on morning, afternoon and evening game drives as well as guided walking safaris. For photography enthusiasts there are also photographic walking safaris on offer. The Sabi River, which flows all year round, is a major source of water for the animals in the Reserve and home to hippos and crocodiles, while its thick reed beds are a haven for birdlife. Dulini River Lodge offers its guests an exciting insight into the African bush and its wildlife with game drives and walking safaris. Game drives occur on a daily basis in the mornings and late afternoons, and are all led by highly-qualified guides and trackers to ensure guests get the most out of their experience. 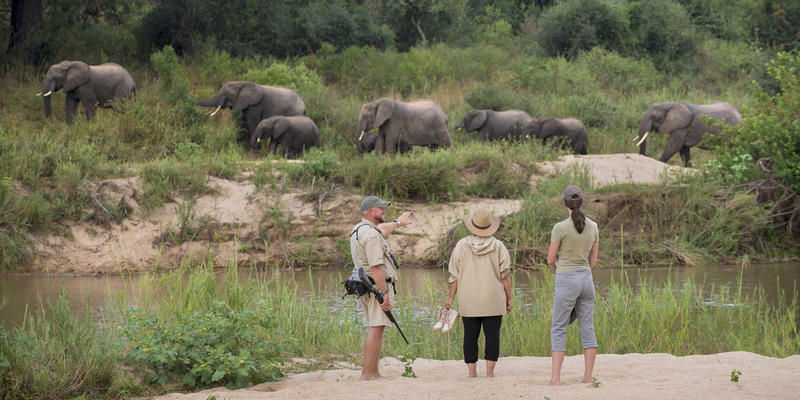 Guides discuss with guests their favourite wildlife and expectations for sightings, and will do their best to ensure that these preferences are met, whether tracking a particular species or spending more time enjoying each sighting and getting to know the habits of the animals. Interpretive walking safaris with an armed ranger are a great way to learn about the smaller plants and animals of the Reserve. The guides will share their vast knowledge of the flora, fauna, insects and small animals which live in the area. 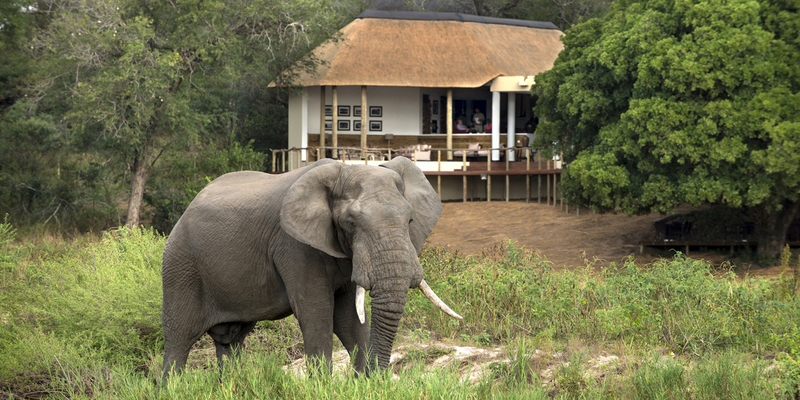 Sabi Sands Game Reserve enjoys an abundance of diverse wildlife. The entire Big Five are well represented, and a number of lion prides have territories in the area and are regularly seen on game drives. Cheetahs, the fastest animal in the world, although not as common as the leopard or lion, are also frequently sighted during game drives. Various antelope species, from impala, waterbuck and duiker to kudu, bushbuck and nyala can also be seen. Before the evening game drive, high-tea on the deck under the sausage tree is a highlight; not just for the food and the view, but also for when the sausage tree is in bloom in early summer, covered in shimmering sunbirds pollinating the nectar-rich red blossoms. Evening drives are an important part of the game viewing experience and provide an opportunity to view many unusual animals. The beautifully patterned African civet is one such nocturnal creature. Another animal often encountered is the dwarf mongoose, Africa’s smallest carnivore. A typical though alarming sound often heard on evening drives is the whine of the bushbaby, a pitiful noise that imitates the cry of a human baby. Dulini River Lodge offers eight luxurious stone and thatch suites spread out along a shady bank with dramatic river views, featuring generous spaces, elegant en-suite bathrooms with a deep bathtub and indoor and outdoor showers. 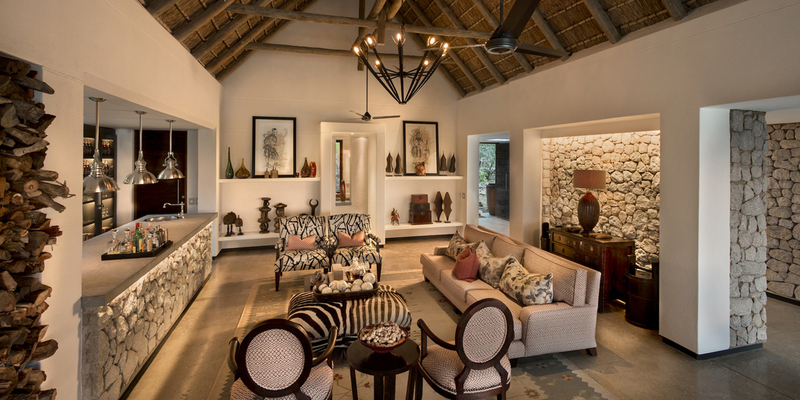 Suite interiors are stylishly designed using natural earthly colours, luxury finishes and a dash of African flair. There is also air-conditioning and central heating to ensure total comfort during any season. Each suite has a private plunge pool surrounded by spacious decks that overlook the river. In-room massage treatments can also be arranged offering guests an excellent way to relax and feel rejuvenated following their day in the bush. Dulini River Lodge's main lodge offers a large open lounge and dining area which is magnificently positioned overlook the Sand River. A giant sausage tree provides shade for long, lazy afternoon lunches. Delicious cuisine, complimented by fine South African wines, is shared in the open air boma around a crackling fire under a starry sky. 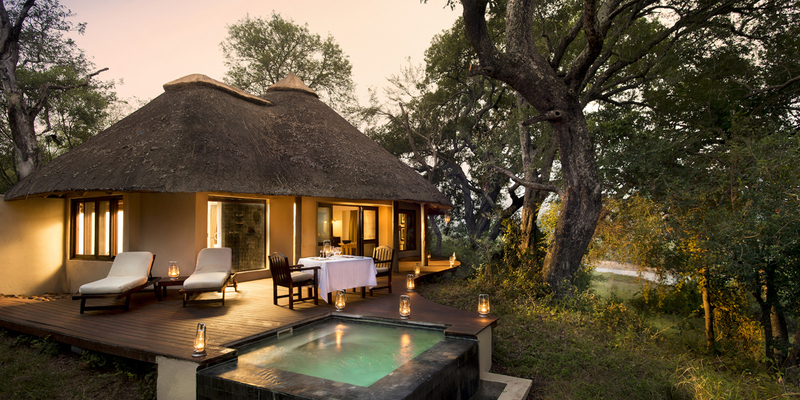 Romantic candlelit dinners in the African bush or on the private deck of the suite, offer memorable dining experiences.